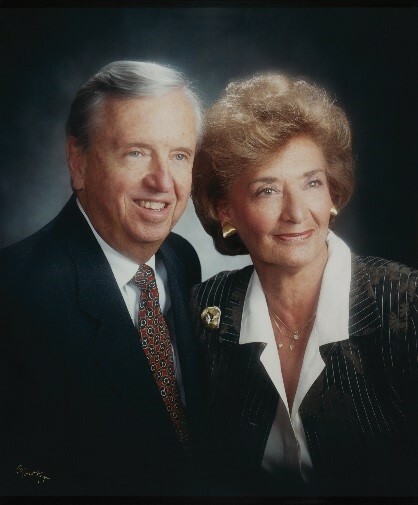 FAIRFIELD, CT--(Marketwired - June 20, 2016) - Eunice and David Bigelow, the second-generation tastemakers, culinary innovators and leaders of Bigelow Tea who paved the way for the explosion of the U.S. specialty tea market, will receive a Lifetime Achievement Award from the Specialty Food Association at its Summer Fancy Food Show June 27 in New York City. Eunice and David are co-chairmen of family-run Bigelow Tea that today makes over 130 blends. They are still the only people who blend Bigelow Tea's flagship brand, "Constant Comment" tea, which was created by company founder and David's mother, Ruth Bigelow, in 1945. "All of us at Bigelow Tea could not be more proud to see this Lifetime Achievement Award bestowed on my parents," said Cindi Bigelow, third-generation CEO of the company. "They are admired not only for the significant impact they have had on the specialty tea industry, but for the positive influence they have had on lives of the 1000s of employees whose privilege it has been to work alongside them during Bigelow Tea Company's more than 70 years. Their passion, creativity and guidance are without measure," Cindi said. In 2015, Eunice and David were honored as inaugural inductees in Specialty Food Association's Hall of Fame for their decades-long contributions to the food industry. As inaugural inductees, they were recognized as pioneers, tastemakers and culinary innovators who helped establish the specialty food industry and who continue to change tastes to this day. … to identify and celebrate the actions and special qualities of those persons widely recognized as having grown the industry, improved the Association, inspired companies and nurtured individuals. The award ceremony will take place in the Special Events Hall at the Jacob K. Javits Convention Center in Manhattan from 5-6:30 p.m. June 27. There will be an exhibit featuring the Lifetime Achievement Award recipients in the Crystal Palace at the Javits Convention Center. Visionaries that they are, in addition to Eunice and David Bigelow's many achievements that made Bigelow Tea the U.S. industry leader in in specialty teas, most recent endeavors include their significant 2003 investment in South Carolina's 127-acre Charleston Tea Plantation. It was their dream to restore this unique site where tea in America is grown, and share this vibrant piece of Americana for all to enjoy. Today, the beautiful Charleston Tea Plantation has become the standard bearer for the long and illustrious American tea story and welcomes 70,000 visitors each year. Based in Fairfield, CT and 100% family owned, the Bigelow Tea Company pioneered the specialty tea category nearly 70 years ago. The three-generational company takes pride in its heritage and successful growth from a one-product, entrepreneurial venture into America's leading specialty tea company. Producing 1.7 billion tea bags annually, the Bigelow Tea line includes more than 130 varieties of Flavored, Traditional, Green, Organic, Herbal, Decaffeinated and Iced teas -- including its flagship specialty tea flavor, "Constant Comment®," an all-time American favorite. Bigelow Tea products are available nationwide. Tea lovers and enthusiasts can also enjoy sharing entertaining stories and facts by visiting Bigelow Tea (bigelowtea.com), the Bigelow Tea Blog (www.bigelowteablog.com), Facebook (www.facebook.com/bigelowtea), Twitter (www.twitter.com/bigelowtea) and Pinterest (www.pinterest.com/bigelowtea).